The city of Sonora, in central California, plans to file suit against the state Bureau of Cannabis Control (BCC) over a policy adopted in 2018 that allows commercial marijuana to be delivered anywhere in the state, regardless of local bans on MJ commerce. According to The Union Democrat, the Sonora City Council voted 5-0 to proceed with litigation over the matter, and city officials believe they won’t be the last municipality to take the state to court over MJ delivery. “It won’t just be us,” Mayor Jim Garaventa told the Sonora newspaper. The policy, announced last July in a draft of industry regulations that were still being crafted at the time, immediately brought swift condemnation from the League of California Cities. The group launched a campaign called “Stop Wandering Weed” in conjunction with the California Police Chiefs Association and the United Food and Commercial Workers Western States Council. Litigation such as Sonora’s also has been a topic since the policy was revealed, with some local officials speculating publicly that it could lead to a legal fight because Proposition 64 – the 2016 voter initiative that legalized adult-use cannabis in California – guaranteed local control to cities and counties over marijuana commerce. 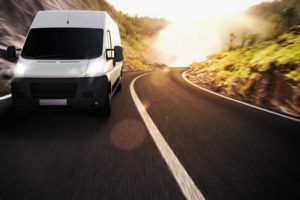 The statewide delivery policy was made permanent in January, when the state Office of Administrative Law signed off on the final version of the BCC’s proposed regulations. BCC spokesman Alex Traverso declined to comment on the pending lawsuit. Good deal, Let’s get a complete list of local cities that choose not to allow safe and regulated cannabis sales. They appear fine to allow the black market, and the black market needs new fertile grounds. As a licensed vendor I would rather the black market go somewhere they are welcome. Thank you Sonoma! It makes no sense for a state agency to supersede the ballot initiative that gave control or ban of marijuana business to the cities to make that decision, and then change the intent of ballot initiative. Judi, it’s Sonora not Sonoma. Local communities can ban a cannabis license in their city, Prop 64 has specific language that allows delivery businesses access to all California roads. Sonora also cannot ban residents from cultivating personal cannabis or smoking it. These are not changes. Prop 64 won by a landslide-57.13% It’s time to move on. While I’ve never been to Sonora, I bet they sell far more dangerous products than cannabis. Sure tobacco and alcohol are a given, but how about sugar and sugar products. Recent studies have shown that sugar is now responsible for more deaths than tobacco and alcohol combined. Yet we display sugar products at children’s eye level, even package it to attract children. Maybe the folks in Sonora have other reasons for preferring black market operators to legal companies! So you won’t let others sell in your county, but you have a licensed dispensary in Sonora. Creating a new paradigm of “Buy Local”…. What’s next?, ban produce that was cultivated in other countries or counties. Seems you are creating a violation of the rights of the citizens of your county. Charging licensing fees to allow a local dispensary to operate, but refusing to allow others to commerce is the same thing as a kickback. It’s not like it’s LA. What delivery service is gonna waste there time going to a banned county that has a low population.